by Lee A. Wilkinson, PhD, NCSP, was recently honored as an Award-Winning Finalist in the Education/Academic category of the "Best Books 2010" Awards sponsored by USA Book News. USA Book News.com is the premiere online magazine and review website for mainstream and independent publishing houses. 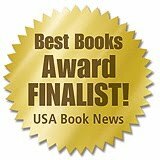 Over 500 winners and finalists were announced in over 140 categories covering print and audio books. Filling a critical void in the autism literature, this authoritative yet accessible book provides school psychologists, educators, support professionals, and parents with a best practice guide to screening, assessment, and intervention for school-age children with autism spectrum disorders (ASD). Grounded in the latest research, special features include illustrative case examples and an index to 50 evidence-based best practice recommendations. This book makes an ideal text for graduate-level training courses in school psychology and is certain to become a widely used resource that will meet the needs of both experienced psychologists and those new to the profession. Parents of children with autism spectrum disorder (ASD) often use complementary and alternative medicine (CAM) treatments with their children as an alternative, or in addition to, conventional treatments. CAM treatments are controversial and, for most, their efficacy has not been scientifically established. Hyperbaric oxygen therapy (HBOT), a scientifically supported treatment for decompression sickness, is being increasingly recommended as a treatment for autism. Although anecdotal evidence may exist, there is a need for rigorous controlled scientific research to evaluate the treatment effects of HBOT on the core symptoms of ASD. The journal Research in Autism Spectrum Disorders reports the results of a randomized double-blind placebo-controlled trial study comparing HBOT to placebo in children with autistic disorder who received 80 sessions of treatment over a 15-week period. Multiple standardized instruments and direct behavioral observations were used to evaluate treatment effects on ASD symptoms. The results indicated no significant differences between HBOT and placebo groups across any of the outcome measures (social reciprocity, communication, and repetitive behaviors). The study concludes that HBOT does not result in a clinically significant improvement of the symptoms of autism and that it is not recommended for the treatment of ASD symptoms. The Food and Drug Administration (FDA) recently announced that hyperbaric oxygen treatment is not an approved or effective treatment or cure for autism. Companies and websites claiming hyperbaric oxygen can treat or cure autism are misleading the public, according to the FDA. "Patients may incorrectly believe that these devices have been proven safe and effective for uses not cleared by FDA, which may cause them to delay or forgo proven medical therapies," says Nayan Patel, a biomedical engineer in FDA's Anesthesiology Devices Branch. "In doing so, they may experience a lack of improvement and/or worsening of their existing condition(s)." Granpeesheh, D., Tarbox, J., Dixon, D. R., Wilke, A. E., Allen, M. S., & Bradstreet, J. J. (2010). 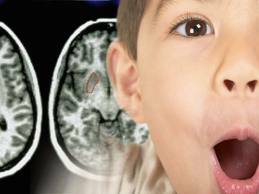 Randomized trial of hyperbaric oxygen therapy for children with autism. Research in Autism Spectrum Disorders, 4, 268-275. The gluten-free, casein-free diet (GF/CF diet) continues to be a popular and widely used treatment by parents of children with. The premise is that avoiding gluten and/or casein (proteins found in wheat, barley, rye and dairy) might directly affect brain function and produce improvements in the cognitive and behavioral symptoms associated with ASD. Surveys suggest that nearly a third of parents of children with mild autism have used an alternative diet in the treatment of their children. The use of alternative diets in the treatment of ASD has also been encouraged by anecdotal reports of effectiveness from parents, celebrities, and the popular media. Given that autism has no know cure, parents and advocates will understandably pursue interventions/treatments that offer the possibility to improving symptoms, especially if the treatment appears to do no harm and is generally accepted. However, there continues to be controversy and debate as to effectiveness and risks of diets as a treatment for ASD (Wilkinson, 2010). A study appearing in the peer-reviewed journal, Research in Autism Spectrum Disorders, examined 14 articles related to research on the effects of gluten-free and/or casein-free (GFCF) diets in the treatment of ASD. Each study was analyzed and summarized in terms of (a) participants, (b) methodological quality (c) specifics of the intervention, (d) dependent variables, (e) outcome, and (e) conclusive evidence. Based on their review, the researchers determined that the published studies do not support the use of GFCF diets in the treatment of ASD (Mulloy, Lang, O’Reilly, Sigafoos, Lancioni, & Rispoli, 2010). They recommend, “Until conclusive evidence is found in support of GFCF diets, restrictive diets should only be implemented in the event a food allergy or intolerance is detected” (p. 335) and “Adverse consequences potentially associated with GFCF diets (e.g., stigmatization, diversion of treatment resources, reduced bone cortical thickness) further the argument against the diet’s therapeutic use.” (p. 337). They also suggest that if future research supports the use of GFCF diets (beyond avoiding allergens), then controlled trials might be initiated to determine whether a GFCF diet has any further benefit for individuals with ASD (Mulloy et al., 2010). Mulloy, A., Lang, R., O’Reilly, M., Sigafoos, J., Lancioni, G., & Rispoli, M. (2010). Gluten-free and casein-free diets in the treatment of autism spectrum disorders: A systematic review. Research in Autism Spectrum Disorders, 4, 328-339.